Noiseworks was a rock band that formed in Sydney, Australia in 1985. The lineup of Noiseworks was Jon Stevens (lead vocals), Stuart Fraser (guitar), Steve Balbi (bass), Justin Stanley (keyboards) and Kevin Nicol (drums). Considered to be one of Australia's more successful rock bands of the late 1980s, their self-titled debut in 1987 had a series of successful singles, such as "No Lies," "Take Me Back," and "Welcome To The World. The band's second album, 1989's Touch, proved to be less successful commercially. 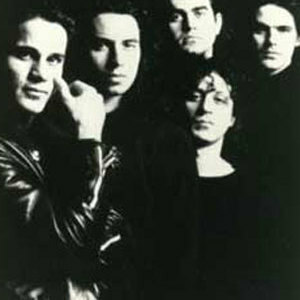 Noiseworks disbanded in 1992, shortly after the release of the group's third album, Love Versus Money (1991). Stevens has forged a successful solo career since Noiseworks with the albums Circle and Ain't No Life for the Faint Hearted. He went on to become the lead singer of INXS, but left after when he became frustrated with the band's lack of progress in generating new material. 2012 - The Band are in the studio recording a new album and touring later this year! The band reformed in early 2007 and in 2011 toured Australian Winery's with Festival concerts.